Why waste your free time cleaning when you can just hand it off to the most reliable house cleaning Kingwood TX experts? Outsource your cleaning tasks to the professional crew that That's Clean Maids referral agency will match you with and you'll finally find the time you need for yourself and your passions! 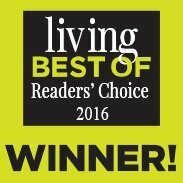 We are proud to live in Kingwood, be a part of this amazing community and have such wonderful neighbors! This is why we want to preserve the city’s true values – reliable and dedicated work and doing right by people around us. Thus, we’ve embedded these values in our core business principles and we’re here to deliver on our promises. Book top-quality maid service Houston through our platform and see what sets us apart from the rest! It takes hours and hours day after day to keep the house perfectly clean! It's finally time to make that a thing of the past. With the right cleaning package, flat or hourly rates and no obligation to sign a contract your home will look better than ever! Plus, we'll do our best to exceed your expectations every time! It is YOU that we are in this for. Feel free to customize your cleaning package, take a break and leave the cleaning to the very best! Featuring the beautiful Greenbelt System and inspiring Lake Houston, Kingwood TX is a wonderful city. But, how can you enjoy it when all of your free time is wasted on cleaning? That’s Clean Maids will free you from the heavy burden of cleaning by connecting you with those who do it best. Let your new cleaners take over all that pesky cleaning and spend free time re-discovering Kingwood! 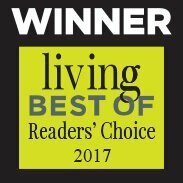 You're also welcome to book move out cleaning services The Woodlands, move out cleaning services Katy, move out cleaning services Magnolia and move out cleaning services in Hockley, areas. 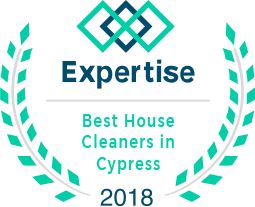 Save time with the best house cleaning Kingwood TX can offer! If you can’t keep up with your to-do lists, let That’s Clean Maids help! With our simple booking system and flat-rate pricing, finding a reliable cleaning team has never been easier! You need someone to clean your carpet, tile or grout, or clean up before you move in/out? Want regular or occasional clean-ups? Leave them to the cleaning pros we'll introduce you to! All cleaning services are and can be further tailored to your needs and cleaning methods, meeting and exceeding your expectations. Your cleaning crew can show up on your doorstep anytime from Mon-Sat, 8 a.m. - 7 p.m., cheerful and ready to work. Satisfied with their expert skills and want them to keep on making your home shine? No problem! 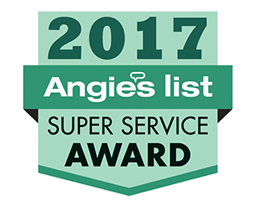 We’ll send the same cleaners who will treat your home with the same level of care every time! The fully vetted and insured cleaners we team up with are the best in the business. They have passed a comprehensive screening process, extensive background checks, and phone and in-person interviews. They’re also rated for every job based on your and other clients' evaluation. If there’s anything you’re not completely satisfied with, they’ll come back for a re-clean at no extra charge! For any additional concerns, you can contact us and we’ll try to resolve them within 48 hours. We offer around 40% discounts for recurring services and 10% discounts for second ones. We can get you all the cleaning help you need quickly and easily. All cleaners are fully vetted and insured. They have also passed rigorous background checks. Leave cleaning to us while you dedicate your time and efforts to your family, friends and passions. Our payments are simple and hassle-free. We don’t charge for any of the services until the job is done. Share your feedback and impressions with us via automated emails. Our priority is to make you happy and help you keep your home clean. All you need to do to contact us is pick up the phone or send us an email. Don’t worry about missing your cleaning because we’ll send you an automated reminder.